LMI can offer several different options with venitlation systems. There is everything from simple Penn or Fantech fans for basic air movement to whole house HRV ventilation systems. HRV systems are becoming increasingly popular due to concerns of indoor air quality and loss of energy. These systems allow fresh outside air to replace stale indoor air while maintaining most of the heating or cooling energy within the home. In addition, they usually run on timers and at a very low velocity, so they are nearly undetectable in the home. Some other ventilation needs that we cover include kitchen hoods, dryer venting, bathroom fans and flues for appliances. 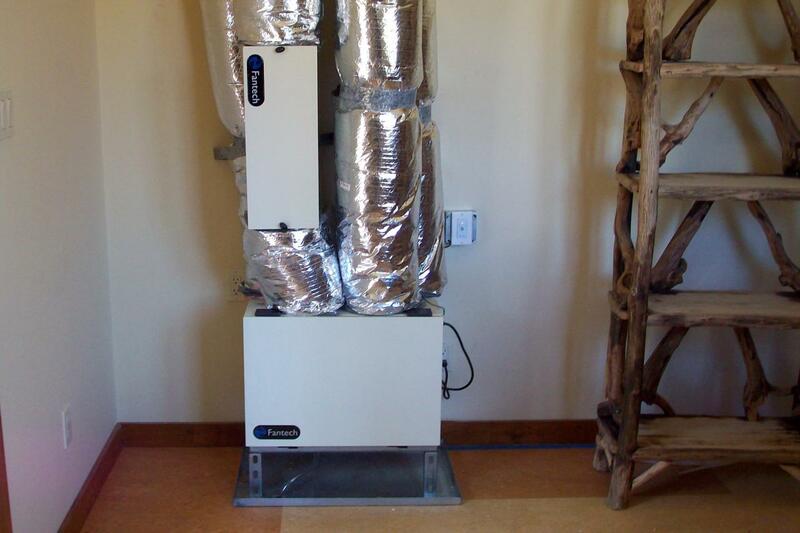 Ventilation system in Pebble Beach residence. 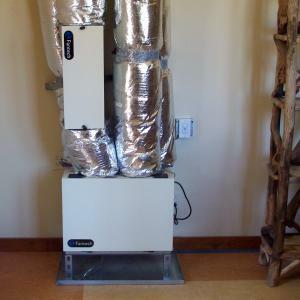 Ventilation system in Monterey residence.